There’s more fun, and savings, involved when you book at one of our two AMBITION host hotels. This year we’re featuring the iconic Hyatt Regency Dallas and a longtime favorite, the Omni Hotel Dallas. Both give you all the lavish accommodations and premiere on-site dining you deserve, plus other bonus features. The best part is the built-in savings you get because we’ve negotiated special AMBITION discounted rates for you as well as free transportation to all official AMBITION events. Here’s what you can expect from each of these Dallas landmark hotels. This downtown Dallas icon features one of the city’s most well-known landmarks and famed restaurants as well as being within walking distance of some of the city’s main tourist attractions. The hotel is adjacent to the Dallas Reunion Tower which boasts a 360-degree panoramic view of the city at an impressive 470 feet in the air. The view is a must-see stop whenever you visit Dallas and hotel guests receive 20 percent off admission. Here’s your chance to squeezing some sightseeing into your AMBITION weekend. Book your room today! With an infinity pool that has the downtown Dallas skyline as its backdrop, the Omni Hotel Dallas brings you luxury plus affordability with the special AMBITION rates. You can experience an award-winning spa along with the best Texas restaurants all in one place. The lavish accommodations match the size of Texas. The longtime AMBITION favorite provides all the comforts of home with the perks and bonuses that come with a top-rated hotel. And it’s connected to the Kay Bailey Hutchinson Convention Center by an air-conditioned skywalk. Learn more and book your room now. If that’s not enough to convince you to book one of the host hotels today, check out this video with VP Marketing & Field Services Eric Johnstone and VP Field Development and Support Darrell Starkweather as they tell you more about what to expect from a stay at this year’s AMBITION host hotels. 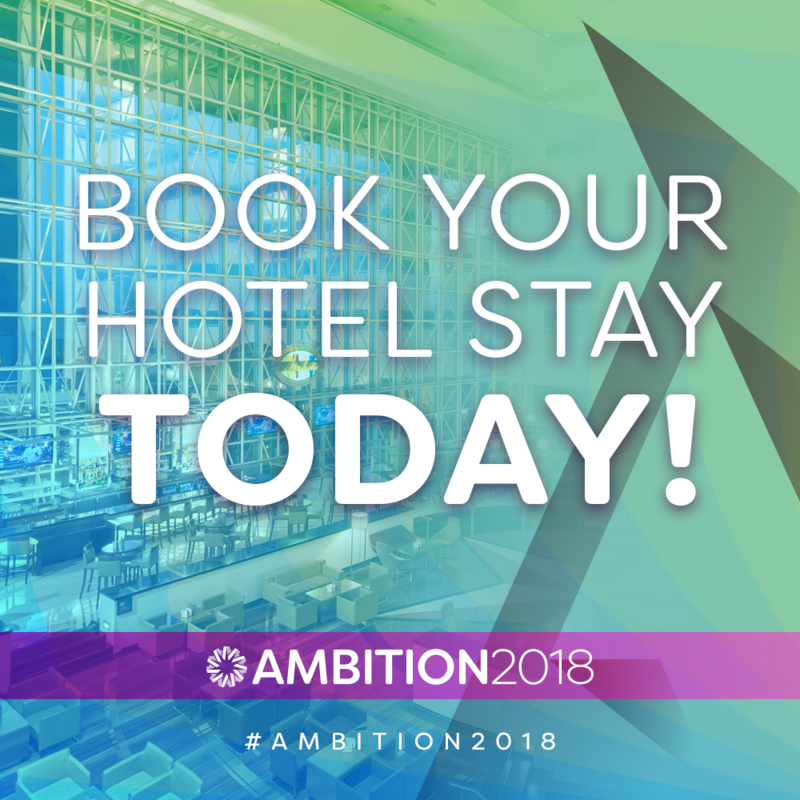 We’re telling stories and creating new memories at AMBITION 2018 and the rooms are going fast, so book your room today!